Becca has one of the strongest work ethics I’ve seen at this restaurant, always ready for the next challenge! What attracted her originally to Paulie’s was the opportunity to learn coffee with Greenway Coffee. She has come a long way from the day when the steam-wand was a foreign object. Her first goal was to win a community Latte Art Throw-down competitions. She has since accomplished that goal, in addition to becoming the 2014 Champion of the Paulie’s Latte Art Tournament. Outside of work, Becca is a full-time post-bac student at University of Houston. She focuses on nutrition in hopes to obtain her Registered Dietician Certification. 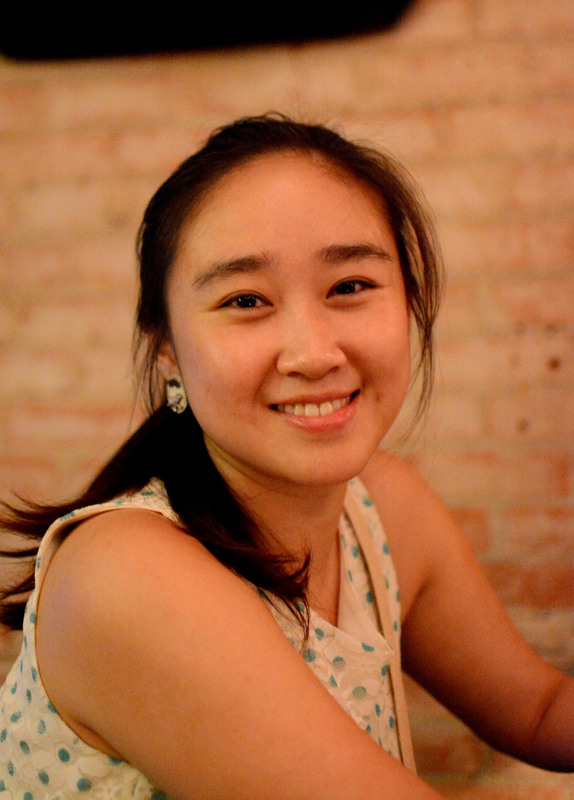 She graduated from Vanderbilt University in Nashville, Tennessee in 2011 with a Bachelor’s in Cognitive Studies and minor in Corporate Strategy and Chinese. Becca has worked in Research and Healthcare in Chapel Hill, Nashville and Philadelphia. She stands by her dream to one day change the way people eat and see food. She understands that the food and beverage industry has a huge impact on how people eat. Right now she is learning all she can at Paulie’s and school. She hopes to continue her studies at the VA hospital program to obtain her internship and Master’s in nutrition. She has a great deal of restaurant experience for her age. As much as she loves being in new cities meeting new people she finally felt at home in Houston. She fell in love with the weather, people, and really just everyone at Paulie’s! She has a slight obsession with Hello Kitty, elephants, sundresses, and Capoeira. A part of her will always believe that if she was given a really awesome cape and tiara she could save the world one day…with the help of delicious food! This entry was posted on Wednesday, June 18th, 2014 at 1:26 pm	and posted in Uncategorized. You can follow any responses to this entry through the RSS 2.0 feed.